The Lowy Institute is delighted to announce that the 2018 Media Lecture will be delivered by Susan Glasser, Washington columnist for The New Yorker and a global affairs analyst for CNN. Following the lecture, Lowy Institute Executive Director Dr Michael Fullilove will chair a Q&A session with Ms Glasser and her husband Peter Baker, Chief White House Correspondent for The New York Times. Veteran ABC Pacific Correspondent Sean Dorney will then present this year’s Media Award to the winner or winning team. Susan Glasser was the founding editor of the award-winning Politico Magazine. She went on to become editor of Politico, a position she held throughout the 2016 US presidential election. 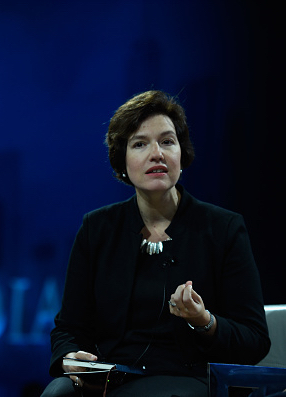 Prior to her time at Politico, Glasser was editor-in-chief of Foreign Policy. For ten years she was an editor at The Washington Post. Her weekly column in The New Yorker on life in Trump’s Washington has become an essential source of information and analysis on the current administration. Peter Baker joined The New York Times in 2008 following 20 years at The Washington Post. During his time as a White House reporter, Baker has covered four presidents — Clinton, Bush, Obama and Trump. He has also covered Russian politics extensively and served with Glasser as joint Moscow Bureau Chief for the Post from 2000 to 2004. Sean Dorney is renowned for his in-depth coverage of the Pacific region, where he worked as a correspondent for over 40 years with a particular focus on Papua New Guinea. He is a Nonresident Fellow of the Lowy Institute and the author of the Lowy Institute Paper The Embarrassed Colonialist, published by Penguin Random House Australia. He won a Walkley Award for his coverage of the Aitape tsunami and was made a Member of the Order of Australia for services to journalism. Previous Lowy Institute Media Award Lecturers have included former Prime Minister Malcolm Turnbull MP, former ABC Managing Director Michelle Guthrie, New York Times Columnist Bret Stephens, Chief Executive of News Corp Robert Thomson and Director‑General of the Office of National Intelligence Nick Warner AO PSM. The 2018 Lowy Institute Media Award Dinner will be held at NSW Parliament House on Saturday, 24 November. The shortlist will be announced in late October.